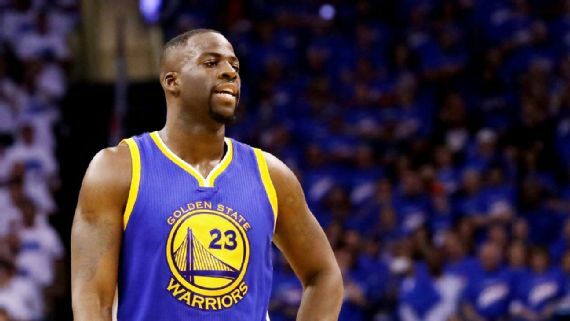 Golden State Warriors forward Draymond Green was arrested Sunday on assault charges in East Lansing, Michigan. Police told ESPN that Green was arrested at an East Lansing restaurant, onrad’s Grill, and that the victim was a man. Lt. Scott Wrigglesworth from the East Lansing Police Department told ESPN that he couldn’t confirm whether the assault was a punch or a slap but it was “not a shove.” He also said police were not called to the scene, but were already there as part of their normal patrol. In a statement, the Warriors said they are “aware of news” involving Green. “At this point, we are collecting information and will have no further comment until we have a better understanding of the situation,” the team said. Green, 26, appeared in 81 games for the Warriors last season and started 23 games in Golden State’s playoff run to the NBA Finals, where they lost to theCleveland Cavaliers in seven games. He missed Game 5 of the Finals for an accumulation of flagrant fouls throughout the postseason. He played four seasons for Michigan State under coach Tom Izzo. Green is set to join Team USA in August at the Olympics in Rio de Janeiro. ESPN’s Ethan Sherwood Strauss, Dan Murphy and Andy Katz contributed to this report.